I'm trying to come up with a way to auto generate all possible sequences for 8 total parameters. 8 total parameters available (A,B,C,D,E,F,G,H). I need to generate a list of all the possible sequences starting with only selecting one parameter by itself. 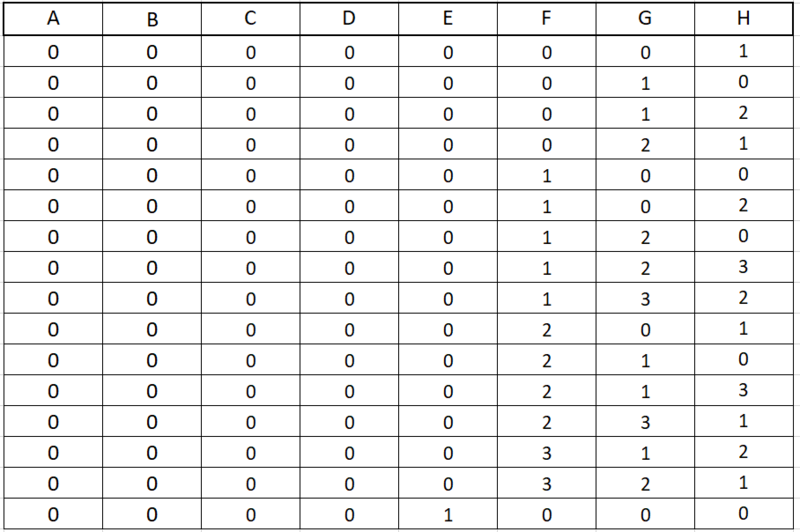 So the numbers in the example below show the order in which the parameters will be selected. So no number can be repeated in the same row. Can this be done somehow in Matlab or even VBA? Not the answer you're looking for? Browse other questions tagged matlab sequence or ask your own question. How to calculate possible word subsequences matching a pattern? Are inserts with sequence numbers nextval atomic for this number?